I told you I would be on a blogging hiatus for over a week. Also told you the reason why I did it. Now that I am back, I want to tell you how I got this shirt 'cause I wish you ladies get it too. My family was in Cebu for a short vacation over the weekend so I had the chance to purchase this shirt at the airport before leaving Mactan. Sorry for a cropped image, I grabbed it from my IG account but that's me wearing one of the shirts that Island Souvenirs is selling for only P199.75 with the proceeds going to the victims of typhoon Yolanda in partnership with Gawad Kalinga. 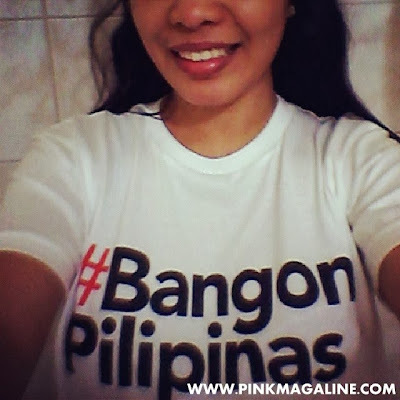 Aside from #BangonPilipinas, they have #BangonPH, #BangonVisayas, #BangonTacloban, #BangonOrmoc, and so on.